First time riding a bike since I could legally smoke. Discussion in 'Bikes and Buying Advice - What Bike?' started by Austin, 20 Apr 2010. I am about to purchase a bike for the MS150 next year. The MS150 is a Charity ride to raise money for MS that is, of course, 150 miles. It is across two days. The last bike I owned was bought from a super market and I know nothing of riding for such a long time. When I did a google search for bike information a ton of links brought me here so here I go. I am 300 pounds but hopefully will drop some of that before next year. I want the bike for the MS150 and to get around my town. My town is very hilly though they aren't very steep. The MS150 is broke into two days. Day 1 is completely flat while day two has hills ranging for slight and long to steep but short. What I know so far is that I want a roadbike as I am not inclined to use it on anything but pavement. I know I want something that is comfortable enough to ride for 70 miles no matter how long that takes. What brands would you guys suggest (In america looking to spend around 855USD or 560Pounds)? What bikes would you guys suggest? 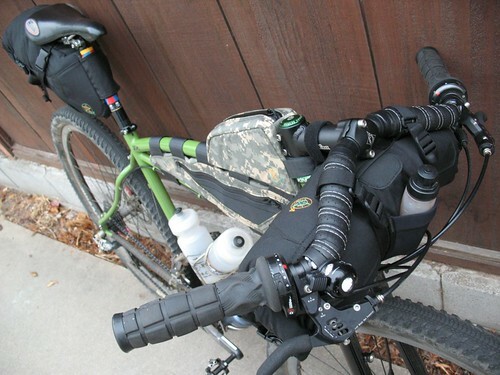 Because of the ride length I will be carrying some supplies like bottle, backpack to hold water (camelpak) and the like. what about the Specialized sirrus? Kona Dew plus? Globe vienna 3? Not sure about flat bars for those distances. 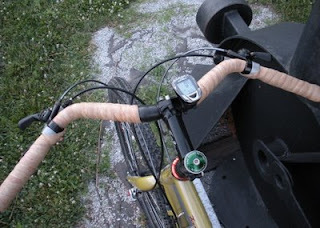 For a one off maybe - if most of your riding is going to be short hops - then get bar ends etc so you can get extra hand positions for the flat handle bars. If you want drop bars, then possibly a tourer if you plan on doing long hauls regularly. Otherwise an Audax bike might be a good choice (long distance competition bike) - half way between a tourer and a road bike. Could be a good option for commuting with mudguard and rack clearances. 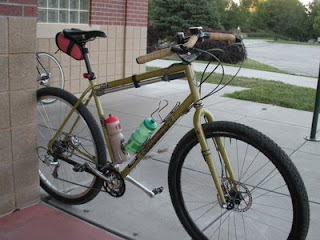 I like the look of the sirrus and the posture seems resonable however I am going to have to agree with the flat handle bars as my sister (who did the ms150) this year complained that she hated the flatbars because he hands would get tired siting in one spot for so long. Is it possible to replace the bars? You can replace the bars, but also look at getting butterfly bars which would mean that you could keep the same brakes and gear shifters. Replacing the bars with drops is problematic as the Sirrus uses mountain bike gearing and brakes and integrated drop bar brake levers / gear shifters are for road bike groupsets. So you might have to also end up replacing brakes and certainly front derailleur as well as the bar and levers. It could cost you hundreds. Seriously, as well as the butterfly bars, there are other types of flatish bars with more hand positions - though maybe not as versatile. From what I can tell, the 29er thing (29" wheeled mountain bikes) has created a spate of 'touring' mountain bikes with shallow drop bars - including inverted riser bars which will take the standard mountain bike shifters. "On One Mary" bars seem a good candidate. There is a guy that runs a shop he calls "Green Pedals" down here. He takes old bikes and fixes them up and resales them. He just got in a road bike that is in good condition besides the paint. He was going to powder it and repaint it but I got him before he did that. Now he is going to skip out on the purely cosmetic stuff to keep the price low. It is a 1999 Trek 2200. Black. What do you guys think? I personally would prefer drops for such a distance. Flat bars and locking arms could make it uncomfortable on the wrists/shoulders. As far as the Trek have you ridden the bike to make sure the frame fits/feels ok? Padded shorts or underware could help if the road bike / hybrid saddle is not as comfortable. Higher end sirrus do have additional bar handles, and although i wouldnt buy a sirrus and convert it, it appers that it has been done on an older model post , may be worth a look for curiosity sake. As Mark Beaumont has shown, you don't need drop bars to do distance, he cycled around the world (in a record time) and the full length of the Americas on a bike with butterfly bars. It all comes down to personal choice. Best thing is to try and ride a few bikes with different bars and go with the type you find most comfortable.